We provide residential and commercial landscape designs. Our designers have years of experience of designing front yards, back yards, and commercial properties. When you are in need of landscape designs, you'll want a company that can work within your budget, delivers on time, and has excellent customer service. Our landscaping company provides just that. 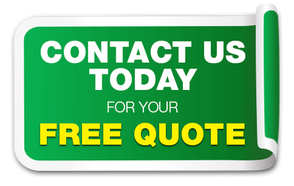 Call us today at 831-346-1770 for a free estimate on your residential or commercial landscape designs. We do it all, from start to finish with an affordable price. Our landscaping company is centrally located in Salinas, CA and we provide landscape design services to it's citizens and the surrounding areas. We can work with front yard designs, back yard designs, garden designs, and commercial designs. Whether you need sod installation, masonry, artificial turf, and patios, our landscaping company in Salinas can get the job done. We can work with clients existing plans, or we can create one for you. Call our landscape designers today for your home or business. Once you speak with one of our landscape designers about your future project, we will visit the site to inspect your wants and needs for the design. Our landscape designers will meet with you in person to discuss plans, goals, deadlines, and specific details about the project. Whether you know what you want installed, or you are starting with a blank slate, our landscape designers will know exactly how to help. After we know your landscape design plans, we'll provide you with an estimate of the cost and our deadlines for each deliverable leading up to the completion of the project. We are thorough in our process because we want to exceed our clients expectations for their landscape designs. Whether you own a home or business, our residential and commercial landscape designs are of the highest quality in Salinas, CA.